OK, things are looking up. My wife insisted that I make the drive to “the wood store” yesterday afternoon even though I didn’t have a plan for what I wanted to make. Traffic was hellacious, we live near Santa Cruz, which is a popular vacation spot and throughway for weekenders heading down the coast to San Louis Obispo or Pismo beach. So it was a long hour-plus sitting in traffic, which gave me some time to think through what to start on in the shop. And to resist getting frustrated with traffic and turning around. 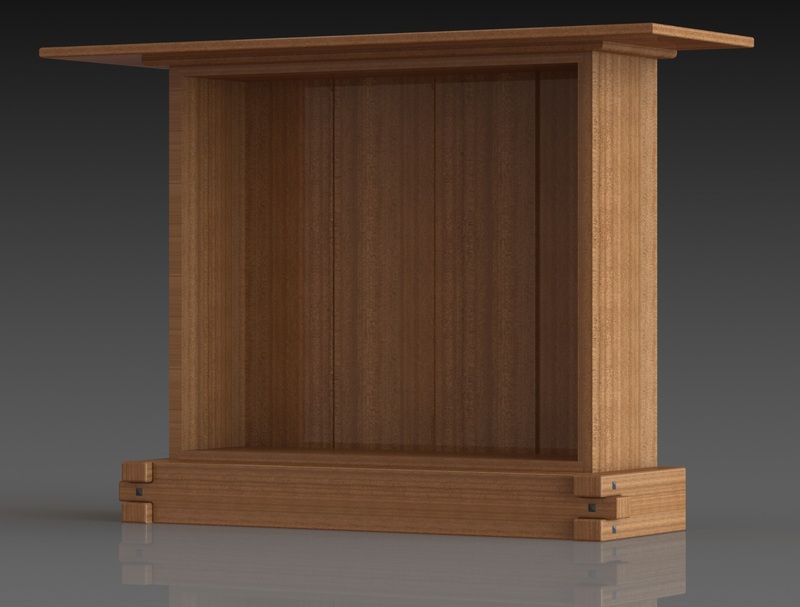 In the end I decided to make the Thorsen house inspired cabinet. I’ve wanted to make this project since I saw it offered as a class at the William Ng school, and when the Popular Woodworking video came out a few weeks ago I snarfed it up. 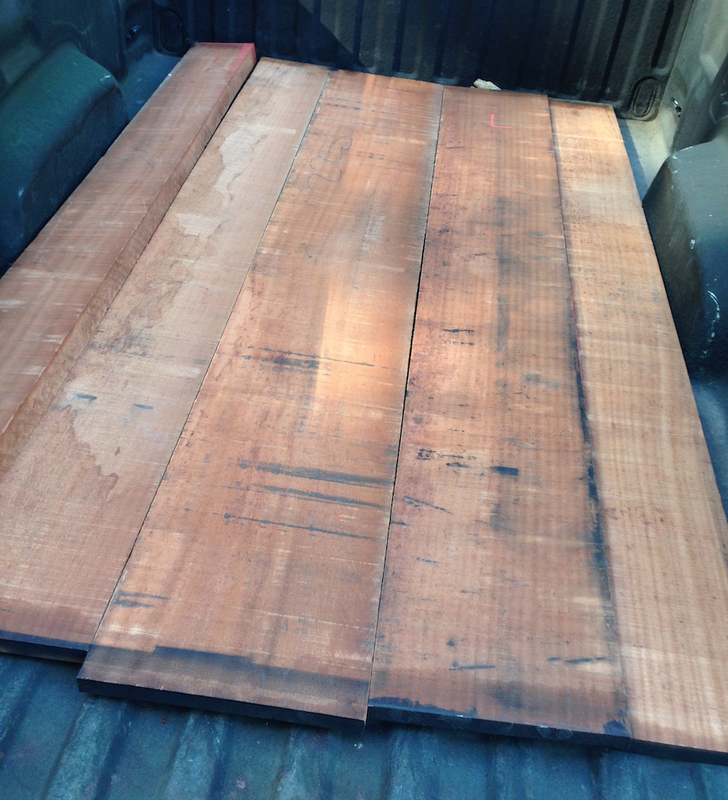 I went to Jackel Enterprises in Watsonville to get the wood, and they had just gotten in a ton of Sapele, which is what I decided to use. Normally I’d use Hondouras Mahogany, but I’ve been wanting to try Sapele. I got about 24bf of 4/4 and one stick of 8/4. It should be enough, certainly enough to keep me busy this weekend. The widest board is over 12″, that had a few that were even wider. At six bucks and change a board foot, plus an arm and a leg for the governor I got out for about $230. On the subject of the video, I have mixed feelings. I was really annoyed that the “plans” didn’t come with the downloaded video — they are supposed to, but there was some problem and they weren’t there. It took a week of emailing and calling their support folks before I got the drawings. The finished project looks absolutely great, the video and plans have some thin spots. It really bugs me that they use drywall screws to put the case together, that just seems like schlock to me. I don’t like using plywood on the back, and the fact that they patched the back together from two pieces shows they were just slamming this together for the video shoot. I did pick up a couple of tricks for building the cabinet, so I’d give the video a C or C-minus. The dimensions in the plans have several errors too. So I figured I’d better make a plan for how I’m going to make this. I started with the “plans” that came with the video, and started modeling it in CAD. It didn’t take long to get the case all modeled, and I found several errors in the drawings and cut list. Instead of a 1/4″ plywood back I’m going to use 1/2″ thick ship-lapped slats. I’m skipping the “screw rails” in the drawings (which are just flat strips glued inside of the cabinet to the plywood back to drive screws through into the wall). Instead I’ll recess some keyhole hangers on the back, I want to use the Sanderson Hardware Hangers this time instead of the hardware store variety because the have offset screws so I can be sure the drive through the back slats into the side of the case. I need to run down to town to pick up some screws and paper for the printer so I can take the dimensions out to the shop with me, then I’ll be ready to start milling wood. That is a slick insert Joe. Is that a drawer at the bottom of the cabinet? I’ve got to ask: How is the poster/cabinet thing going? I haven’t decided on the bottom. In the video the front apron is held in place with rare earth magnets, so you can remove it and stash stuff in there. It’s only about 2″ tall (the aprons are 3″ tall), so by time you add a drawer there isn’t much depth left. As far as the poster, I’m going to leave that alone for the moment. I think once the cabinet is done I’ll make a pitch to move the poster elsewhere, and make a matching table to go under the cabinet. There is no rush, the cabinet will take me several weeks by the time I get into the door (which is pretty complex) and the stained glass panels. The false front with the magnets is a good idea.